The Christmas snow in the Apennines has turned to melt water and has given way to raging waters along the length of the River Tevere, which flows down to Rome. In San Secondo, a small village in the Upper Tiber Valley, Umbria the lower fields have been flooded as the waters spill over the banks and drench the surrounding farmlands. When I first posted this about the strangely high water levels of the Tiber River, I thought it had to do with unseasonally melt water from snow. I have since found out that there was a 150 foot hole in the dam wall of Lake Montegolio. 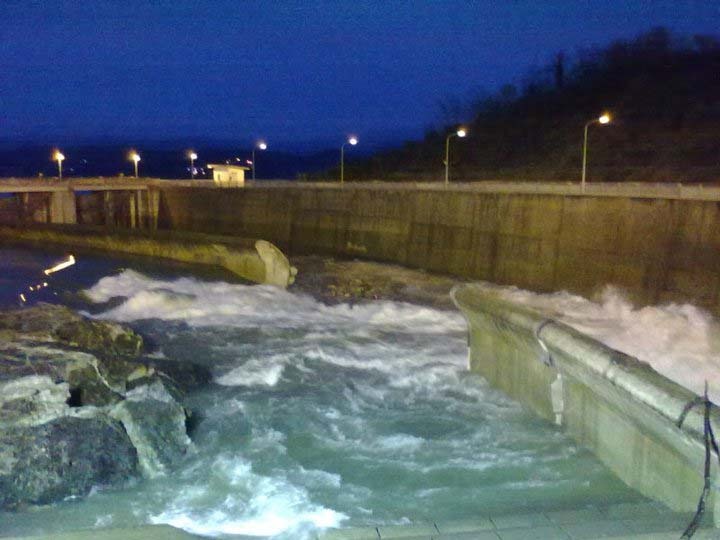 At its peak the water was gushing out at 600 sqm per second and hence the flooding some 30km south in San Secondo. We drove past today and the lake is completely empty now. The clip shows the sheer force of the water as the dam emptied. Ignorance is bliss at times. 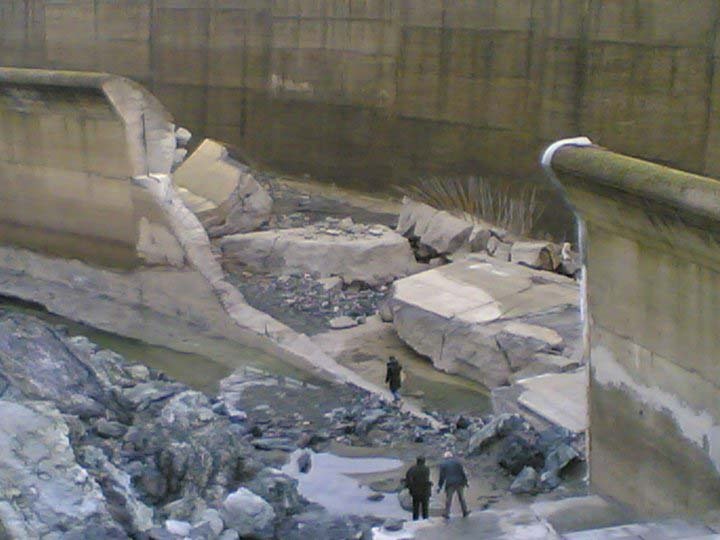 This entry was posted in Uncategorized and tagged collapse, dam, flood, photos, Tevere, umbria. Bookmark the permalink.